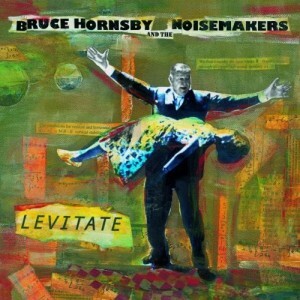 Bruce Hornsby’s Levitate is the first record credited to the Noisemakers. Dedicated to R.S.Hornsby. Thanks to so many of you for rating this album. Cyclone topped your scores,, narrowly beating out Continents Drift. There’s a huge disparity between those and the lower ranked songs, more so than on any other record we’ve looked at so far. Surprises: the title track Levitate was ranked 7th out of 12. That song, more than any other on the record, received mainstream attention after being featured in Spike Lee’s Kobe Doin’ Work. We’re nearing the end of this project to compare each record. Stay tuned for a closer look at how Levitate holds up against all Bruce’s other records. Bruce Hornsby's Levitate is the first record credited to the Noisemakers. Dedicated to R.S.Hornsby. [caption id="attachment_4002" align="alignright" width="300"] Levitate[/caption] Released:September 15 2009 "The Black Rats of London" "Prairie Dog Town" "Cyclone" "Continents Drift" "Paperboy" "Invisible" "Levitate" "Here We Are Again" "Space is the Place" "Michael Raphael" "Simple Prayer" "In The Low Country" Your Levitate reviews Thanks to so many of you for rating this album. Cyclone topped your scores,, narrowly beating out Continents Drift. There's a huge disparity between those and the lower ranked songs, more so than on any other record we've looked at so far. Surprises: the title track Levitate was ranked 7th out of 12. That song, more than any other on the record, received mainstream attention after being featured in Spike Lee's Kobe Doin' Work. We're nearing the end of this project to compare each record. Stay tuned for a closer look at how Levitate holds up against all Bruce's other records. [taq_review] Bruce Hornsby's Levitate Wiki page Music player [crazyplayer id="47957" theme="#427b98" bgcolor="#222222" style="style1" autoplay="false" showlrc="false"] Reviews Some additional reviews that we've found, which are largely positive. Click on each title for the full review: New York Times - "History meets hoedowns, and modernism visits the roadhouse in Bruce Hornsby’s music, which treats Americana as the broadest possible canvas. The songs on his new album “Levitate,” can be as rootsy as Mr. Hornsby’s accordion and dulcimer and as contemporary as a programmed drumbeat. Material from “Levitate” is the basis for a prospective Broadway show, “SCKBSTD,” that will have to be pretty cosmic to match the album." Pop Dose: "This batch is up to the task, at once highlighting both the unbridled live energy of the Noisemakers and the fearless studio experimentation that has enlivened some of Hornsby’s finest late-period work." Eat Sleep Drink Music: "The focus here is on the songs, which Hornsby pares down to their most essential parts without robbing the arrangements of any of their robust vitality." American Songwriter: "Levitate is a staggeringly great collection of songs by one of our most gifted songwriters and instrumentalists playing at the top of his game." 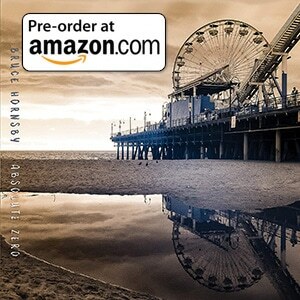 Allmusic Guide: "Old-time Hornsby fans who fell away over the years might want to give this one a listen; it's closer to his singer/songwriter self than he's been in many years." The first official Noisemakers release.